Search our Products . . .
Browse Custom Gifts by Category. Easily browse our custom gifts by category. Don't see what you want? Try the search box above, or simply choose the "Personalize Your Own" category below and personalize one of our box designs with your artwork and text. With a little imagination, you can make one to fit almost ANY occasion! Choose a box style and price that is right for you . . . Then customize with your photos and artwork. Perfect for any occasion. Our on staff Graphic Artists will make it amazing! We make these by hand . . . just for you. Create a stunning masterpiece to celebrate the marriage of those you love. Capture the journey with our Anniversary boxes that can be personalized with your photos, monogram, and dates. Handcrafted in the USA just for you. While they may be gone from your sight, they will never be gone from your heart. Keep them close with these gifts personalized with your loved ones photos. Each one is handcrafted in the USA and made to pass down. Capture a Military Career with our Custom Military Keepsake boxes. Made to be passed down and handcrafted in America. Proud to support our Law Enforcement officers! We offer heirloom quality gifts for Police, Sheriff, SWAT, State Police, etc. Personalize with your badge, patch, and photos. Personalize these custom Firefighter gifts with your Department's Patch, Photos, etc. Makes an incredible retirement gift or way to show your appreciation to the firefighter hero for their service! Life is about to change forever. Remember all the little details with our beautiful handcrafted gifts just for newborns (and their proud parents). Makes the perfect gift and made to last a lifetime. Handcrafted in the USA. Tired of cheap plastic trophies? Ready to give a trophy worthy of their athletic achievements? We are here to make this year's victories last a lifetime. 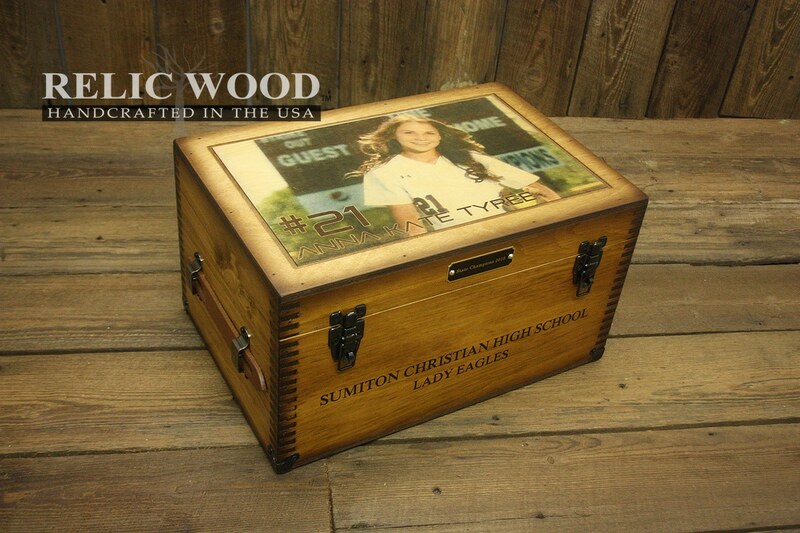 Personalize with your teams name, player number, school, etc. Personalize our gifts with your Monogram. Nothing says class and style like our unique Monogram gifts. We have created several styles to choose from but you can also bring your own designs . . . proudly made in America.